Open surgery has traditionally been the treatment of choice for benign, symptomatic, large size prostatomegaly (1). 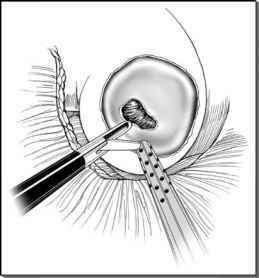 First described in 1945 by Millin (2), retropubic simple prostatectomy achieves complete enucleation of the prostate adenoma through a transverse capsulotomy incision on the anterior surface of the prostate gland. Subsequently, transurethral endoscopic techniques have virtually replaced the open approach in the surgical management of benign prostatic hypertrophy (3-5). Recent modifications of the gold standard transurethral resection (transurethral resection of the prostate) include transurethral needle ablation, thermotherapy, and holmium or "green light" laser enucleation. In general, these techniques are applied for small to moderate sized benign prostatic hypertrophy. More recently, the holmium laser has been employed for "giant" prostatomegaly, even in excess of 100 g (6,7). Nevertheless, at many centers, open prostatectomy remains the technique of choice for the majority of patients with hugely enlarged benign prostatic hypertrophy (8,9). ■ Transurethral incision of prostate is efficacious for glands up to 30 cc in size (8). ■ Glands larger than 80-100 g may be better managed with open simple retropubic prostatectomy, especially in the presence of coexisting pathology, such as large vesical diverticulum, large/multiple bladder calculi, or severe hip ankylosis contraindi-cating a lithotomy position (9). Operative morbidity of transurethral resection of the prostate increases when performed for prostatic adenoma larger than 45 g, in procedures lasting more than 90 minutes, or patients older than 80 years or with prior history of acute urinary retention (10,11). A meta-analysis of the literature concluded that open prostatectomy is the most effective method for improving the symptoms of an obstruction caused by benign pro-static hyperplasia, despite being an invasive and expensive procedure. This obstruction is corrected by completely removing the adenoma and this is what guarantees the favorable results (11,12).